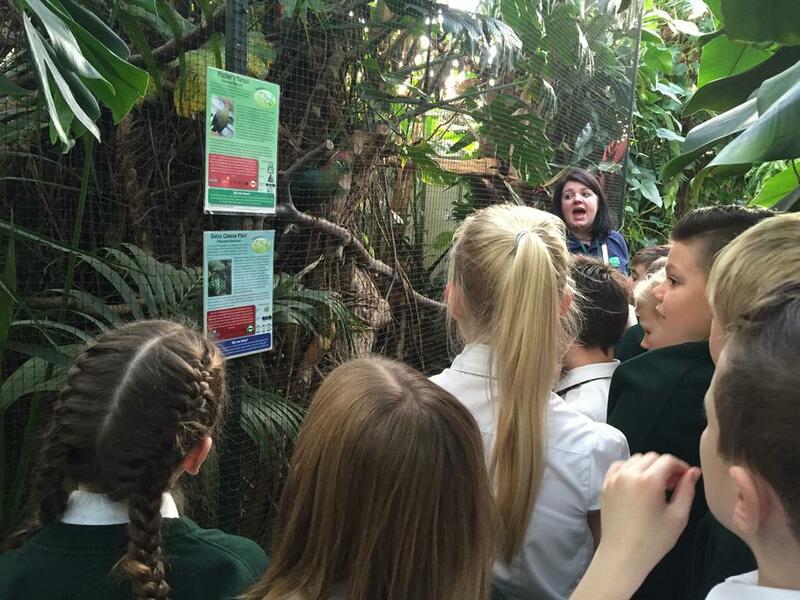 Friday 8th January was the launch day of our exciting new Learning Challenge topic- 'Why should the rainforest be important to us all?'. 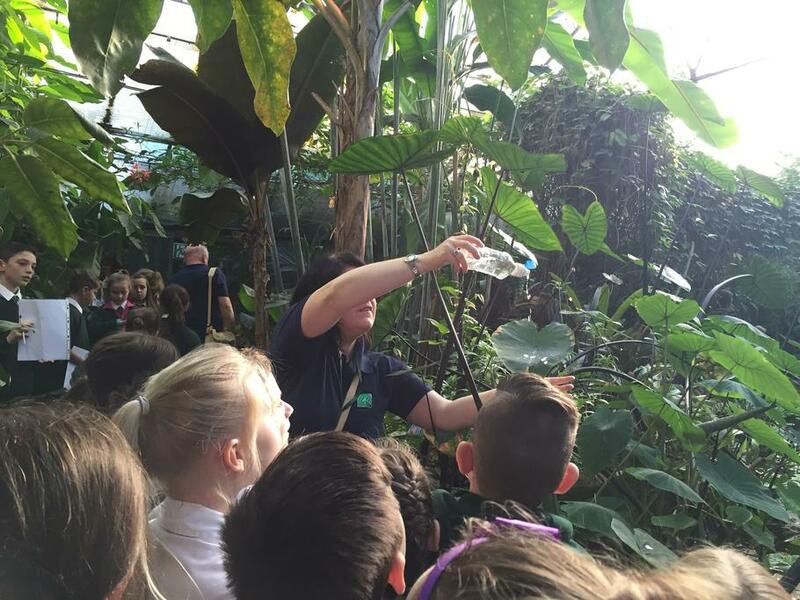 All of Year 5 went to The Living Rainforest in Newbury- an indoor greenhouse tropical rainforest. Here children were given the chance to explore the diverse environment first hand and see the variety of species of plants and animals that rainforests sustain. 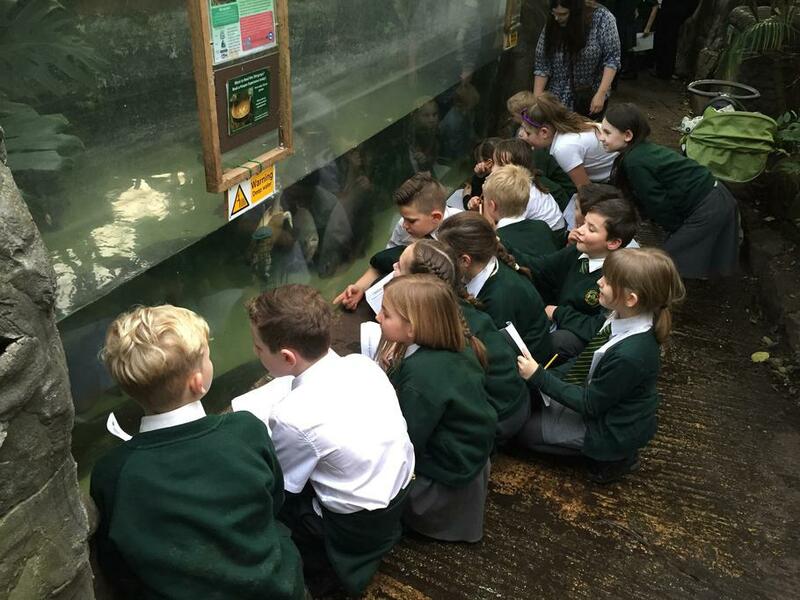 On their tour, they learnt how plants and animals have adapted over time to suit the environment in which they live. It was an exciting start to a very interesting topic!